The origins of the Company in 1921 in Blackpool as the Swallow Sidecar Company. 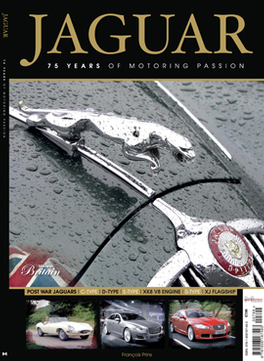 From the large saloons – Mk IX and X, the new compact 2.4- and 3.4 litre saloons, the XK120, XK140 and XK150 sports cars and probably the most famous British car (along with the Mini) the Jaguar E-Type, ‘Jaguar 75’ encapsulates all of this history and much more with its 132 pages. Be the first person to tell us what you think about Jaguar - 75 Years and you'll save £2.50 on your next purchase!